If you haven’t tried podcast marketing, there are several good reasons why now is time to take the plunge. Listeners love podcasts because they allow them to tune in anytime and anywhere, and within a few episodes, they generally feel a sort of camaraderie with the hosts. Podcasts are also great because they offer a platform for discussing niche subjects at length; there are podcasts focused on every topic you could think of. It’s relatively low-cost. You’ll need some good-quality microphones and you’ll either need to pay for editing or invest in some editing software, but overall, it’s a marketing format that’s affordable. You may also want to be prepared to pay a musician for a catchy tune for your intro. While many marketers find video a little intimidating, podcasting may feel like an easier place to start. A script is helpful, but podcasting works fine in a looser, conversational format. It’s a great place to talk about your digital marketing. Podcasts offer a way to promote your latest blog, social media video post or white paper. It also can be a good opportunity to talk more in-depth about the subject of your digital marketing post and answer listener questions. Your content is automatically delivered to subscribers. Once a member of your target audience subscribes to your podcast, you won’t need to keep trying to get their attention or invite them to listen. They’ll receive automatic delivery of the newest episode right to their smartphone or wherever they listen to podcasts. Advertising lands a little more softly on podcast marketing. Unlike comparatively jarring radio ads, the advertising on podcasts tends to fold a little more naturally into the episode. Hosts simply pause their conversation to talk about a product or service they like, and it’s remarkably effective at influencing audiences. A survey of 300,000 podcast listeners found that 63% had purchased a product or service recommended by a podcast host. That’s some serious influence. 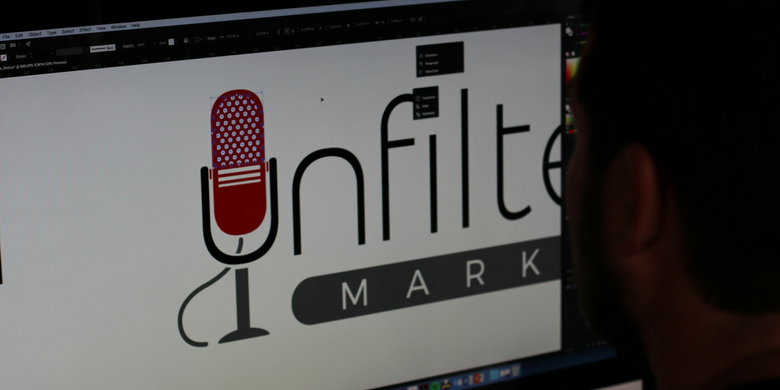 At SJC Marketing, we not only work with clients to create their podcasts; it’s a format we love to use to discuss marketing trends and techniques for our target market. To learn more, visit the audio and video production page of our website and see if it might be the right time to launch your own podcast.